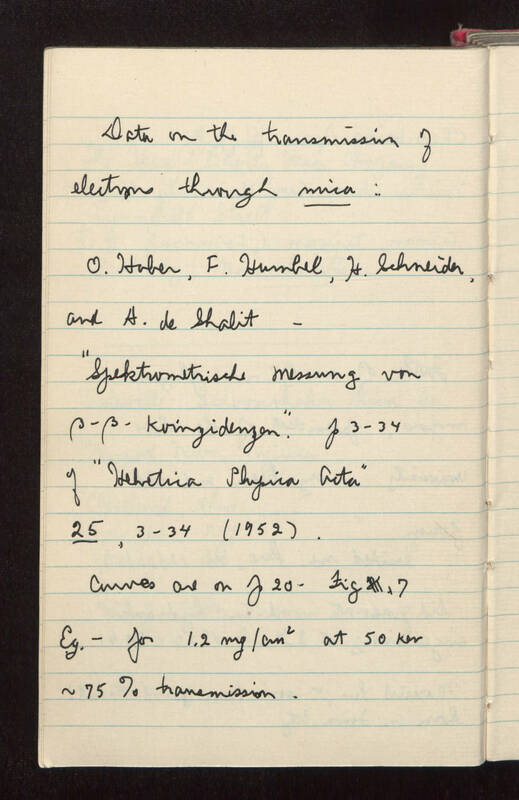 Data on the transmission of electrons through mica: O. Haber, F. Humbel, H. Schneider, and H. de Shalit -- "Spektrometrische messung von beta-beta-[koinzidenzen?]." pages 3-34 of "Helvetica Physica Acta" 25, pages 3-34 (1952). [Curves?] are on page 20 figure 7 e.g. -- for ((1.2 mg)/(cm exponent 2)) at 50 kev ~75% transmission.